Friday, March 12th, 1993. Twelve powerful bombs ravaged the city of Mumbai. The terror of that hellish day left 257 people killed and over 1,400 wounded. As fingers pointed, arrests pursued, and riots exploded, all boundaries were crossed to make way for a chase that will span two decades; a chase that continues till this very day. 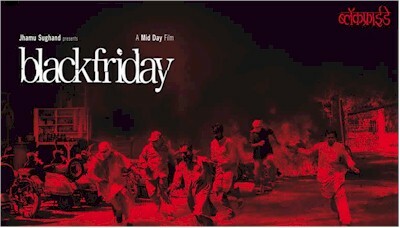 The horror will never leave India’s history and will be remembered by one and all as…Black Friday. Anurag Kashyap is the man behind the scene, and what a scene it is! Director of the controversial film Panch, which has yet to see the light of day, Kashyap’s adaptation of S. Hussain Zaidi’s book, Black Friday, digs deep into the rubble to unearth the truth of what happened that horrific Friday twelve years ago. However, until then, let’s focus on an aspect of the film that hasn’t received opposition, nor its deserved recognition. The music of Black Friday is the voice of not only the victims, but also the voice of the predators…it’s the eulogy of Black Friday. Indian Ocean is an incredible four-member band that has enthralled music lovers all over India for the past twelve years (coincidentally, they began their music careers the same year as the Bombay Blasts). Liquefying Indian rhythms and classical folk with rock, reggae, and jazz to create amazing music, they have composed three albums, Kandisa, Desert Rain, and Indian Ocean. Making their foray into the Film Industry, they have taken on the task of creating an emotional and passionate soundtrack for an even more impassioned film. Bande is sensational! Known as the man with the golden voice, Asheem Chakravarty infuses unbelievable passion into this amazingly different piece. Known for their inept skill with percussions and the guitar, Indian Ocean crosses all boundaries and passes into the realm of musical ingenuity at its finest. As the piece reaches its climax, the band raises the tempo and lets Susmit Sen, the talented guitarist, render the electric guitar with style and emotion. Piyush Mishra’s lyrics are completely unconventional and insightful into that ashy day in 1993. Bharam Baap Ke is the soothing result of invincible fusion! That’s what their known best for: their unmatched skill of superimposing Indian folk/Classical with other musical genres. Although it’s percussion haven once again in this piece, the guitar takes the cake. Vocals are at their finest, and melody stands apart from the rest of the piece. Piyush Mishra’s lyrics accompany the composition beautifully. His words are a cry out to the world of destruction and violence. "Jung ka rang sunhera samjha. Lekin baat mein gehra samjha. Jung ka rang hai kaala re." Baadshah In Jail is a musical masterpiece! Indian Ocean deserve yet another standing ovation after this spectacular score. Everything is working for this track, from its creative percussion based rhythms to its melody, from it’s vocal brilliance to its emotion-evoking lyrics. I must warn you though. Midway through the song, you’re going to be gripping the sides of your seats, as this one is going to be a musical frenzy! The following six tracks are the six instrumentals that complete the sound of Black Friday. Opening (Pre Blast) is electrifying! As this score races on, you know exactly why it’s called what it is. The anticipation of something terrible rings loud in the drummer’s grip. The fear of havoc sounds loud in the woodwind instrument. Hold on…something’s about to go Boom! Bomb Planting is definitely filled with class and a different style, but it’s not as engaging as its predecessors. An oboe like woodwind fills itself in this mellow piece and is what makes this track less engaging, but not less enjoyable. Once again, fusion is the name of the game here. Memon House is the signature piece of Indian Ocean. It is their trademark piece because it brings Jazz and Rock into the eastern music scene, which is what these four guys are all about. A great piano-filled rhythm infiltrates the piece throughout. A sweet sounding Soprano Sax oozes over the music and hovers nicely over the light rock ballad. Eastern elements begin to show when the vocal alaaps take part in the fun. All in all, this is a prime example of Indian Ocean’s unique capabilities. RDX is unique in its very composition. Indian Ocean starts this one off with a synthesized vibraphone like sound, which works to their advantage due its appeal in sound texture. Once again they infuse eastern elements (alaap) with western elements (rock ballad), to create another original score. Although it pails in comparison to some of the other instrumentals, it is a pleasant sounding piece to listen to. Training continues the trend of creativity shown by Indian Ocean. Drums steal the show here as the four put together a marching rhythm that is intertwined with a rock ballad. With a rich texture in the guitar and some Religious chants throughout the piece, this one can afford to be heard numerous times. Once again, this one doesn’t reach the peaks, but it does soar high. Chase - Percussions Galore! Honestly, I would be robbing you of your pleasure if I sat here and gave you a laundry list of all the instruments/percussions used in this piece. Nonetheless, the band amazes with their ability to toss percussions around like they were bowling pins, creating the most awe-inspiring result! To add to the originality (as if they needed more of it), they play around with some vocal sounds….and all I can say is Wow! Listen to this one for yourself. Indian Ocean heard. Be a believer in fusion composition. All we, along with Anurag Kashyap, can do is wait for judgment day before we can witness the cinematic documentation of this historic day. But don’t wait to hear what Indian Ocean heard. Witness Black Friday…Listen to its cry.